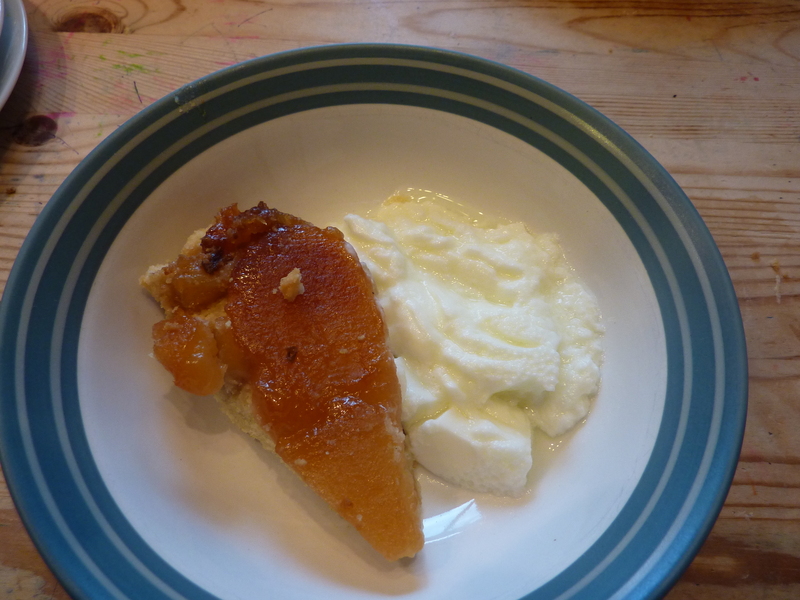 This is a variation on a tarte Tatin. I’ve never made tarte Tatin before. We invested in a cast-iron pan that would go on the hob and in the oven. The butter and sugar mix that the apples went into didn’t want to caramelize, until I put the heat up. The shortbread was very short and I had difficulty rolling it out to put over the top. But I got there in the end. It was surprisingly delicious. John says I can make this one again.